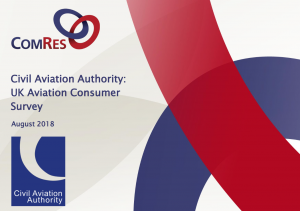 According to the latest Aviation Consumer Survey by the UK Civil Aviation Authority, satisfaction with flying among passengers in the UK has fallen in the last two years. Although the figure is still high the survey, published in August, indicates that the proportion of consumers who were satisfied with the overall travel experience in their last flight fell from 90% in Spring 2016 to 83% this Spring. I was interested, but not surprised, to read that passengers were particularly unhappy with how airports and airlines respond to disruption and delay. Neither was it a shock to learn that passengers are typically less satisfied with the in-flight experience than other aspects of flying. It’s not that long ago the admittedly higher price of an airline ticket would buy you a hot meal and complimentary drinks. Now you have to pay for a bottle of water and hope they haven’t run out of the five-quid ‘turkey feast’ sandwiches. As I said in a previous post my holiday, which used to start when I boarded the plane, now doesn’t until I’ve arrived at my destination. Which brings me to my latest trip. A couple of weeks ago my son and I were at Gibraltar International Airport to take a British Airways flight to Heathrow. We’d got there in good time and were about to tuck in to a snack when a public address announcement informed us we should prepare to board. We found this odd, as it was fully an hour before the scheduled departure time of 3.20pm. We stashed our sandwiches into our hand luggage and dutifully complied, as did our fellow passengers. Boarding went without a hitch, and soon everyone was strapped in, ready for take off. The pilot said he was hoping to get clearance so we could depart early. Again, I thought this strange: can a flight leave ahead of schedule just like that? Aren’t there ‘slots’ that have to be respected? Sure enough the minutes went by, and there on the tarmac we remained. Not even a glass of water was offered. Eventually at around twenty past three, when we should have been taking off, the pilot again in that irritatingly insouciant tone of theirs. Regrettably we wouldn’t be able to leave for another 45 minutes or so. It wasn’t his fault, it was down to air traffic control in France. Now, I know that French air traffic controller strikes are responsible for 33% of all delays in Europe (according to a recent French senate report), but I don’t think there was a strike. At least I found no evidence of one when I Googled it in my hotel that evening. It’s not the first time I’ve heard this excuse, and it’s starting to wear a little thin. A lady beside me was upset because she had been about to feed her baby in the departure lounge when the call to board came. She was now stuck on the plane, unable to tend to her impeccably behaved, but hungry, daughter. The mum asked for a complaint form, so did I. Back came the reply that it wasn’t BA’s fault, we should complain to the airport. No form was provided. Another passenger was indignant because two friends had decided to travel with him at the last minute but couldn’t get a ticket as the gate had closed ahead of time. Isn’t it high time airline passengers were treated with respect, rather than the contempt that seems to have become the norm? As we waited I saw from our window a military transport aircraft take off. As soon as it did, we were taxiing for take off. Was that the real reason for the delay? Did the MoD flight disrupt ours or was it truly down to French air traffic controllers? I guess we’ll never know. Author gibstevePosted on 30th September 2018 Leave a comment on What was the hurry? 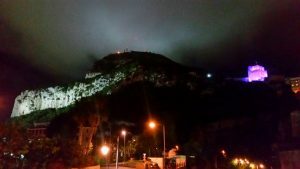 Should Ranked Choice Voting be used in Gibraltar elections? It’s an old chestnut I know, but is our current voting system the best for Gibraltar? 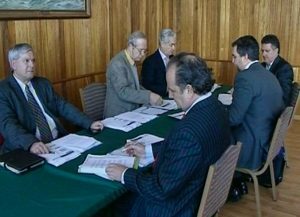 The Commission on Democratic and Political Reform that reported in January 2013 concluded that the present block vote system has, “despite its deficiencies, served Gibraltar well over the years since its inception and should be retained”. But it noted that there was only a slight majority in favour of it among those who responded to the consultation paper, and the Commission itself did not have a unanimous position: in a minority report, Robert Vasquez QC suggested there were many ways in which the existing system “can and should be improved” and he advocated the adoption of a “Parallel System” combining proportional representation with the first-past-the-post system that’s used in the UK. I was prompted to write on this subject after reading about the primaries to choose the Democratic Party’s candidate for mayor in Maine. For the first time, this north-easternmost US state conducted the election using what the Americans call ranked choice voting, or RCV. Elsewhere it’s better known as STV, the single transferrable vote, and is used in countries like Australia, Ireland and Malta. The system allows electors to rank as many, or as few, candidates as they like in order of preference. In contrast, at general elections in Gibraltar we can only vote for a maximum of ten candidates, even though there are seventeen seats in parliament, and there’s no mechanism to reflect that we prefer one candidate to another. With RCV, candidates do best when they attract a solid core of first-choice support but also garner plenty of second, and even third choice votes. That’s because once a candidate reaches the threshold required to be elected, any surplus votes go to voters’ second choices, and so on until the total number of seats have been allocated. Research shows that RCV boosts voter turnout. A study of 79 elections in 26 American cities found that it was associated with a 10% increase in turnout compared with non-RCV primary elections. In a Gibraltar context, it could increase the chances of independent candidates getting elected. Furthermore, advocates say the system also helps reduce partisanship and negative campaigning, as candidates must try to appeal not just to their traditional supporters but to a wider cross section of the electorate. This should resonate strongly on the Rock where so many of us, me included, are turned off by the divisive nature of our politics. In the Maine election two of the outsiders figured they might improve their prospects by campaigning for second-place votes. Accordingly, both asked their supporters to also vote for the other. I’m not holding my breath waiting for Fabian Picardo and Keith Azopardi to do likewise, even though they started off as political stablemates. But anything that might encourage our elected representatives to, if nothing else, be civil to each other is surely worth considering. The Economist newspaper summed it up well: “RCV may be unable to force liberals and conservatives to like each other, but it could at least blunt the electoral effects of hyperpartisanship”. 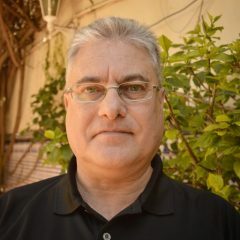 Author gibstevePosted on 22nd September 2018 3 Comments on Should Ranked Choice Voting be used in Gibraltar elections? Oh for the humble parking meter! My first close encounter with them was at the airport and I was in a hurry. In front of me, a tourist was trying to pay with little success. Eventually he asked someone for help; they both stared blankly at the contraption. They poked at this, prodded at that, and – gave up. The poor chap left, fuming and ticketless, muttering something in a language I was glad I didn’t understand. I strode up confidently and soon wished I hadn’t been so smug. There I was, confronted with a front panel as complicated as the flight deck on the Discovery One from the aforementioned sci-fi flick. Where to start? My eyes were drawn towards the intimidating, 44-button, centre section. It took me a while to suss out that you have to press the hard-to-spot white ‘start’ button to get things going. A screen lights up and instructs you to enter your vehicle’s registration number. You have to be quick, otherwise the system cuts out and you have to start all over again. (Spare a thought here for the visitor in a hire car who doesn’t know the number plate and has to go and check, in the meantime losing his place in the queue). Once you’ve overcome this hurdle you use the blue ‘plus’ and ‘minus’ buttons to key in for how long you need to be parked. And that’s when the fun starts. At the Ragged Staff car park on another day I tried paying in cash. Three hours, three quid. Simple. Except that my second pound coin was gulped down without registering on the screen. In the good old straightforward days if a slot machine rejected a coin it spewed it out. Not anymore apparently. It stayed in, and the only way to retrieve it was by cancelling the whole operation and starting from the beginning, re-entering the registration number. Why, pray, are so many coins rejected? Now I’m wise to the problem I carry an assortment of local and UK coins, new and old, to maximise my chances of success. But you can’t expect everyone to do this. Again, consider the hapless visitor. Contactless payment with my debit card didn’t work either. It kept my three pounds, that I never bothered to claim back, but didn’t issue the requisite ticket. Only when I used the card in the conventional manner, manually keying in the number, was I successful, and even then authorisation took ages; I ended up being fifteen minutes late for an appointment. I never imagined I would be nostalgic about such things, but whatever happened to the trusty old parking meter? 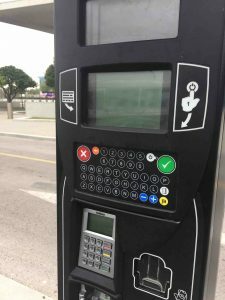 Author gibstevePosted on 15th September 2018 Leave a comment on Oh for the humble parking meter! Look up at the Moorish Castle these days and you’ll see a huge Gibraltar flag hanging from it. At night the Tower is also lit up in red and white. Naturally it’s to mark our national celebrations that culminate on National Day. 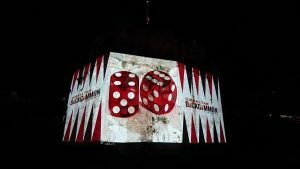 I wonder what Tariq ibn Ziyad would make of it: Gibraltar’s most venerable monument used as a glitzy screen? From a chess piece to a backgammon board, it’s had it all. 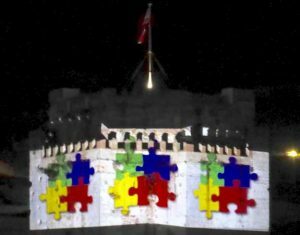 It’s also been illuminated in all the colours of the rainbow – quite literally on one occasion. Blue is for Childline, Diabetes and Prostate Cancer Awareness. Green denotes either World Down Syndrome Day or National Cerebral Palsy Day. Yellow signifies Mental Health Week, while red promotes Cardiac Arrest Awareness. Purple, meanwhile, is for Pancreatic Cancer, Scouts’ and Guides’ Thinking Day and the Relay for Life. If it’s pink it’s Lunar Walk Day and cyan (greenish-blue) stands for Deaf Awareness. Of course there’s nothing wrong with any of this, but I would make just two observations. Do something too often and it loses its impact. In the past if the Castle was lit up it was special and everyone would take a look. Nowadays, it’s met with a shrug of the shoulder. Secondly it’s hard to keep track of what the different colours represent without experiencing Awareness Fatigue. “If It’s Tuesday, This Must Be Belgium” is a 1969 romantic comedy that pokes fun at the whirlwind nature of European tour schedules. Paraphrasing, we may ponder that “If It’s Orange, It Must Be National Obesity Week” … or something. And yes, before someone points it out I know orange already marks Multiple Sclerosis Day. As for the rainbow illumination, that was in memory of the victims of a mass shooting at a gay nightclub in Orlando, Florida two years ago. The diversity flag was also flown at half-mast from Number Six Convent Place. And here’s where I start to feel uncomfortable with gestures of this kind. 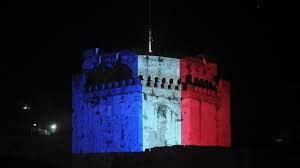 Following terrorist attacks in Paris in November 2015 that left at least 130 dead, the French tricolour was projected onto the Tower of Homage and the chief minister and his staff observed a solemn two-minutes silence. Four months later there was a repeat with the black, yellow and red of Belgium after 32 civilians were killed in a wave of suicide bombings in Brussels. Letters of condolence were sent to the French president and the Belgian prime minister. But less than a fortnight before the Paris atrocities, 224 passengers and crew died when a faction of Islamic State shot down an airliner that had just taken off from the tourist resort of Sharm el-Sheikh. 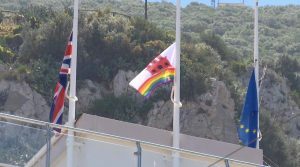 Why didn’t Gibraltar then stand shoulder to shoulder with Egypt and display the colours of its flag? The attacks in the French capital (as those in Belgium) were contemptible, but no fewer than six terror incidents in 2015 were even deadlier. Three of them occurred in Nigeria. The worst, in January, claimed up to two thousand lives. 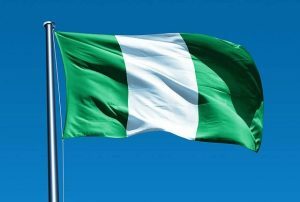 Yet I don’t remember seeing the colours of that country officially displayed. Nor those of Yemen, Kenya, Syria, Iraq or Turkey, all nations that lost many lives that year as a consequence of terrorism. That’s the problem with this kind of well-meaning act. Where do you draw the line? And what happens when publicly expressing sympathy is politically awkward? When 14 civilians died in two attacks in Catalonia last summer, the red and yellow of Spain was conspicuous by its absence. 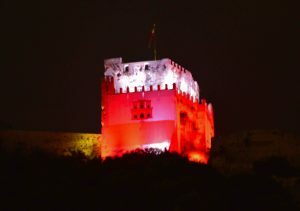 Instead, the Moorish Castle’s illuminations were switched off altogether. Come to think of it, that’s a much more respectful way to mourn the dead. Save the bright lights, if we must have them, for when we have a reason to celebrate. Much has already been said and written about the government’s ultra-quick U-turn in blocking night-time access to its beaches webcam site, after a camera at Eastern Beach captured presumed smugglers at work on its first night. “The beaches website is offline in the evenings exclusively as a result of issues relating to data protection which have been brought to the government’s attention by its legal advisers”, Number Six Convent Place told GBC. Which left me scratching my head. After all, six of the ten ministers who sit around the Cabinet table are lawyers, among them two QCs: didn’t this potential danger (New) dawn on any of them before the system went live? Author gibstevePosted on 9th September 2018 1 Comment on Unenlightened? Goodness, is that the time?